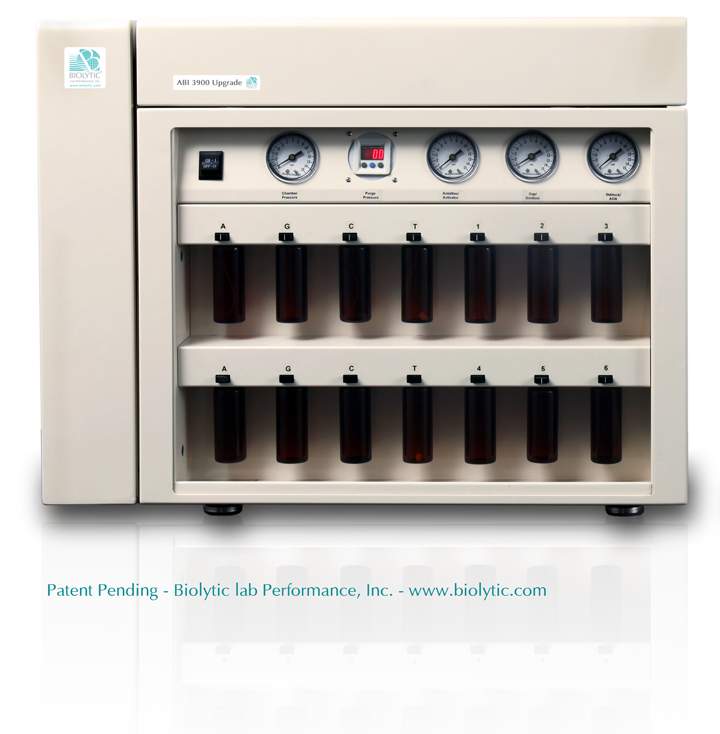 ABI 3900 Upgrade | Biolytic Lab Performances, Inc. The ABI 3900 Oligo Synthesizer has become very popular for synthesis of standard and special oligos. ABI has not supported this product for several years even though there are many instruments in service to this day. The ABI 3900 instrument and software have remained fundamentally unchanged since its release. The 3900 continues to maintain great potential to serve our customers' needs. 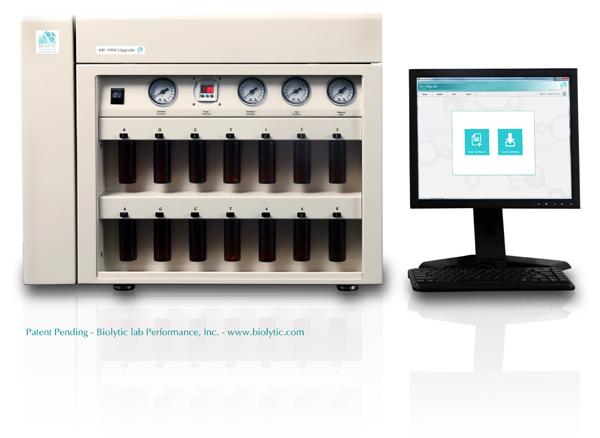 With over two decades of applied experience in the field of oligo synthesis automation, Biolytic is able to bring you a 3900 upgrade that dramatically improves its performance, adds hardware features and comes with a completely new software package, written from the ground up, to run on the latest version of Windows. If you are looking for ABI 3900 service, ABI 3900 parts or an ABI 3900 upgrade, please consider our ABI 3900 upgrade for all of your ABI 3900 needs. The upgrade comes packed with new hardware and software features as well as a new computer and monitor running the latest Windows operating system. Included in the upgrade are state of the art valve and motion control systems. The ABI 3900 upgrade offers the ability to completely remove reverse flow cross contamination thereby reducing error rates in gene construction, allowing the use of up to 10 special amidites and the ability to simultaneously use 2 different oxidizer reagents. 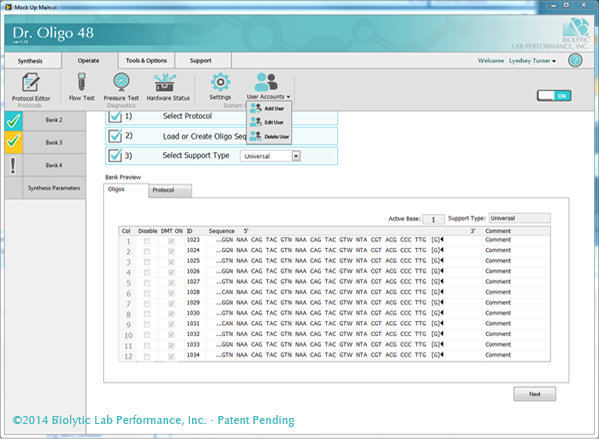 The new ABI 3900 Upgrade has increased efficiency of the ABI 3900 by allowing finer control of reagent flow rate through the columns resulting in efficient diffusion of the reagents at the reaction site and lower reagent consumption. 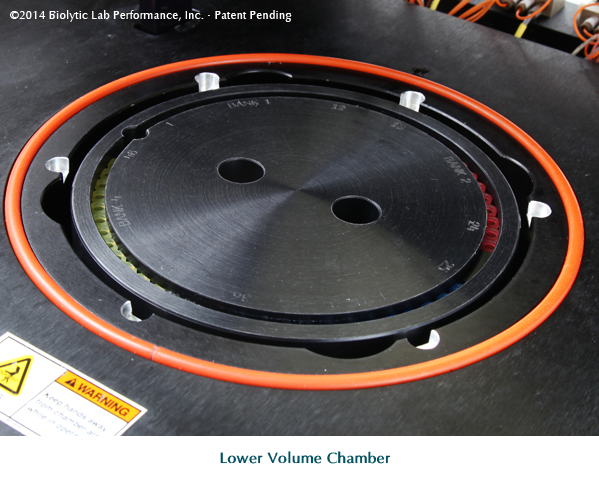 The chamber volume has been lowered, reducing gas consumption and increasing efficiency. 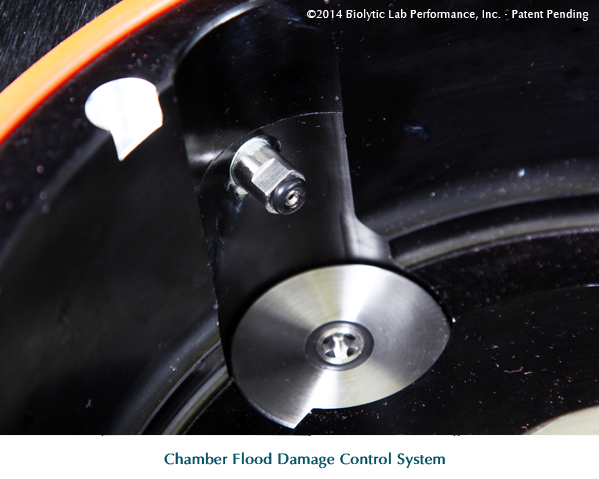 A new chamber flood damage control system has been implemented which redirects chamber flood reagents to waste instead of leaking them internally. The new software is built for Windows 8 and features flexible protocol construction similar to the world renowned Dr. Oligo Synthesizer. 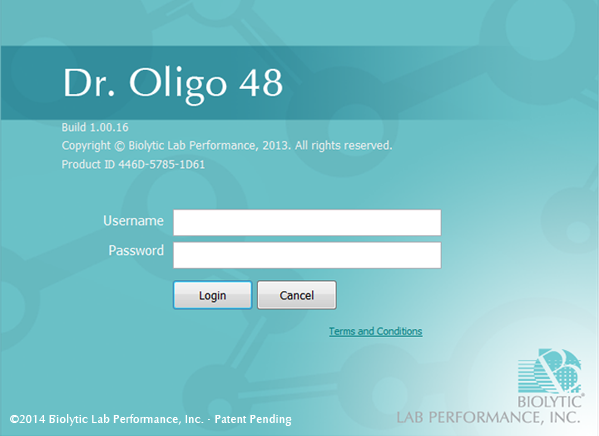 The software supports truly independent protocol operation on each bank of 12 oligos while providing the user with real-time feedback during each synthesis run. 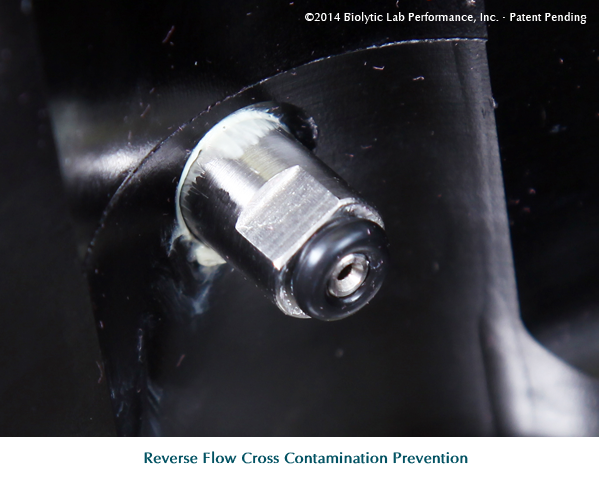 Completely eliminates reverse flow cross contamination. 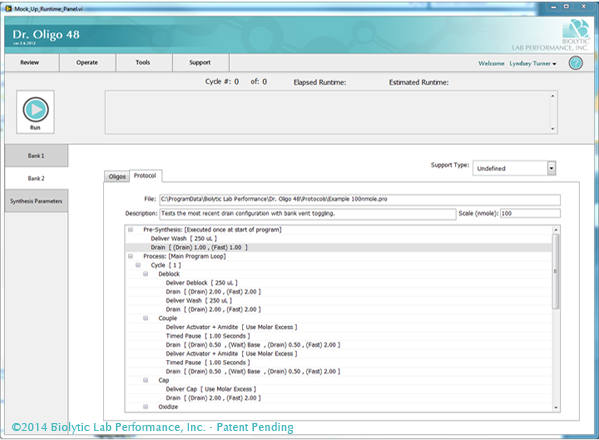 Reduces errors rates in oligos used for gene construction. Allows use of up to 10 specials. Ability to simultaneously use 2 different Oxidizer reagents. 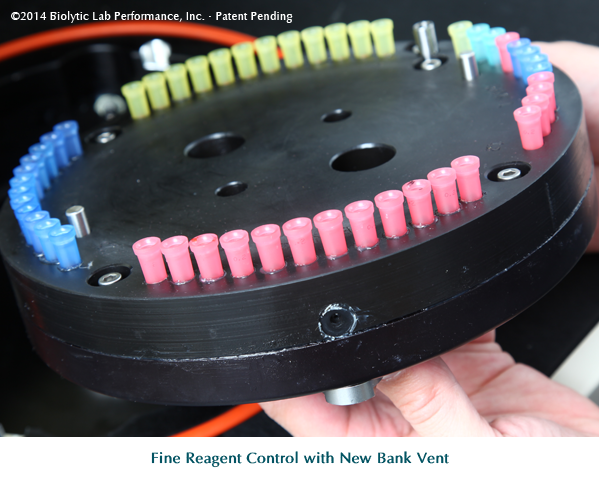 Fine control of reagent flow rate through columns to minimize reagent consumption. Efficient diffusion of reagents at reaction site. Chamber Flood Damage Control System redirects chamber flood reagents to waste. Truly independent protocol operation on each bank of 12 oligos. Biolytic owned and developed software and hardware. Customization of hardware & software available upon request. This system is sold as an upgrade to an existing compatible instrument. The upgrade does not include the instrument itself. 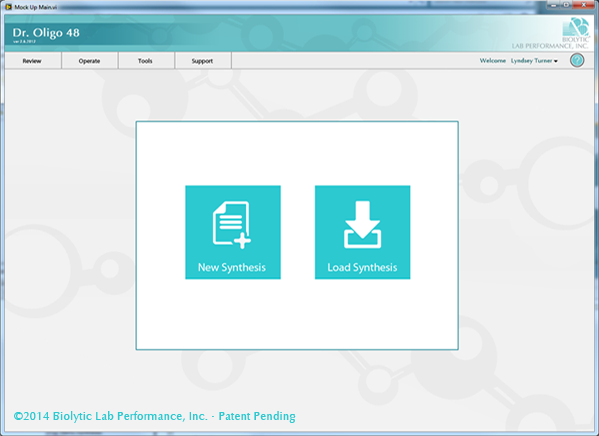 Biolytic Lab Performance, Inc. does not provide any license for any particular chemistry. If any license is required to perform the chemistry want to perform, it is the end user's responsibility to obtain any license that is required.